STIR stands for Short-TI Inversion Recovery and is typically used to null the signal from fat. At 1.5T fat has a T1 value of approximately 260 ms, so its TInull value is approximately 0.69 x 250 = 180 ms. The optimal value is often slightly less than this for two reasons: 1) adipose tissues contain variable amounts of water, and 2) a fast spin echo signal acquisition method is commonly used which includes the application of additional 180°-pulses and gradients. As such typical practical values of TI for STIR at 1.5T are in the 160-180 range. The fat suppression possible by STIR is generally uniform and relatively independent of magnetic field inhomogeneities. STIR may be superior to other fat saturation methods (such as spectral "fat-sat") especially near metallic foreign bodies, near tissue interfaces with high susceptibility differences (like the skull base/sinuses), and across large body parts (such as the abdomen and pelvis). It is even possible to perform whole-body STIR imaging as a screening technique for bone metastases. In lower field permanent magnet scanners with relatively poor homogeneity, STIR is one of the only fat suppression methods available. STIR image with excellent fat suppression, allowing optic neuritis to be well seen. STIR (as well as other short and medium-TI sequences) has an additional useful feature — additive T1+T2 contrast. In routine SE imaging lesions with prolonged T1 and T2 have competitive effects on signal intensity (↑T1 reduces signal while ↑T2 increases signal). In STIR imaging the effects of ↑T1 and ↑T2 are additive. This results from the fact that the longitudinal magnetization of long T1 lesions on STIR remain inverted and produce a high signal as shown below. At short to medium TI’s, long T1 substances (such as CSF) are bright on magnitude IR. This is opposite to SE where long T1 values cause reduced signal intensity. STIR cannot be used as a fat suppression technique post-gadolinium. STIR does not specifically suppress fat; it only suppresses tissues with T1 values in the range of fat (200-300 ms). Thus gadolinium-containing tissues with similar relaxation times will also be suppressed. Likewise, suppression proteinaceous materials and other short T1 tissues may occur. 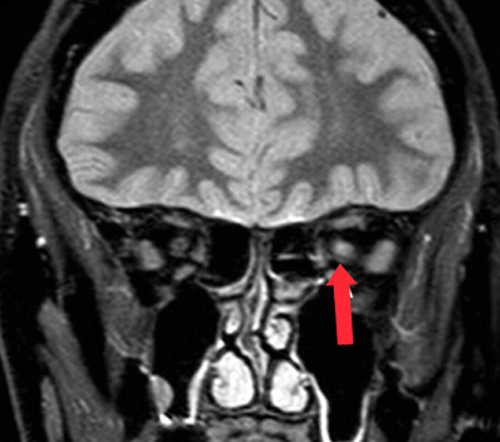 Although contrast-to-noise for certain lesions may be improved, overall signal-to-noise may be poor. The multiple 180°-pulses cause deposit extra energy and may result in tissue heating. Graeme Bydder and Ian Young, my two colleagues from our days on the Picker MR advisory board, invented, characterized, and named the STIR sequence in their 1985 JCAT paper referenced below. In their original description STIR stood for short TI inversion recovery. Subsequent papers by others using this technique replaced the "T" in STIR with the greek letter "tau", referring to the acronym as the Short-tau Inversion Recovery. This is incorrect and a corruption of the original term, so I continue to refer to STIR by its proper (older) name. Bydder GM, Young IR. 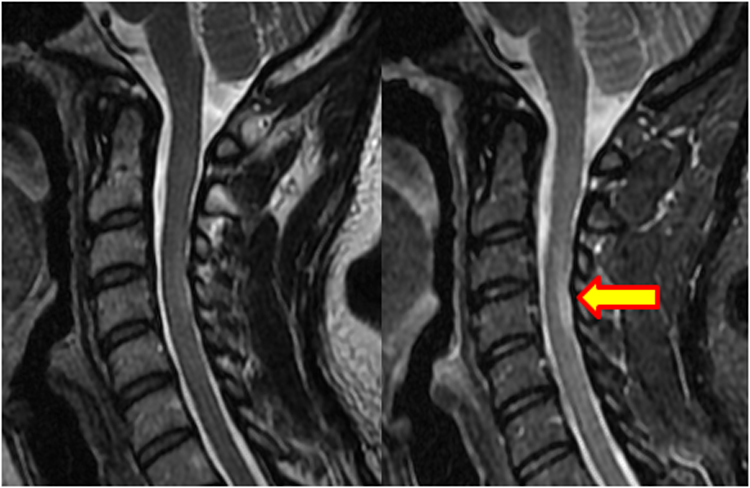 MR imaging: clinical use of the inversion recovery sequence. J Comput Assist Tomogr 1985; 9:659-675. Krinsky G, Rofsky NM, Weinreb JC. Nonspecificity of short inversion time inversion recovery (STIR) as a technique of fat suppression: pitfalls in image interpretation. Am J Roentgenol 1996; 166:523-526. Sugimoto H, Sakai O, Shinozaki T et al. Effect of water fraction in selection of optimal TI value for STIR sequences. J Comput Assist Tomogr 1994; 18:119-125. Why use IR? What are the advantages?